Apple is reportedly working with on a new keyboard for its laptops that will dynamically change what characters appear on the keys, depending on what apps are being used. That means your MacBook keys could soon transform into emoji on command, thanks to e-ink. 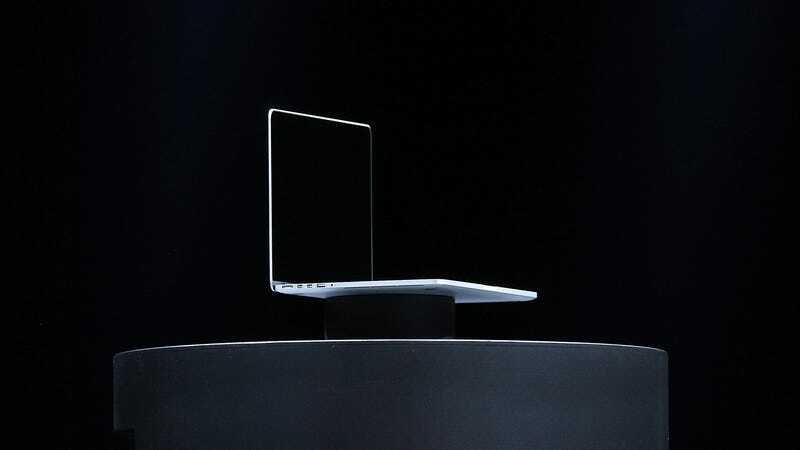 The new keyboards will be a standard feature on MacBook laptops, and will be able to display any alphabet, along with an unlimited number of special commands and emojis, people familiar with the plans said. The Journal’s report comes a week after rumors spread that Apple was working with the Australian startup Sonder Design on utilizing some of its dynamic keyboard tech. Sonder Design, which is backed by Apple partner Foxconn, has an external keyboard available for pre-order. The Journal also reports that Tim Cook met with Sonder in China last week to talk about using the keyboard tech, which would then be a standard feature in 2018 MacBooks. The keyboard uses an e-ink display and changes which characters appear on keycaps, depending on which actions are taken. So the idea is that you can quickly have your keyboard set to display characters in any language, as well as application shortcuts. There have been a number of customizable keyboards over the years—the Optimus Popularis comes to mind—but this would be unique for being built-into the chassis. Although I don’t think I’d pay $200 for a keyboard that gives me easy access to emoji, being built-into my laptop is another story. Sign me up!